Sign up to receive our latest deals and get a 10% off coupon. Thanks for signing up! Check your inbox for your coupon. Canada Canadian shipping to the US? Beats came for Christmas. They were clean and work well. It is now April and there are no issues at all. Listen to your favorite music with the PowerBEATS 3 Bluetooth-enabled wireless in-ear headphones from Beats by Dre. 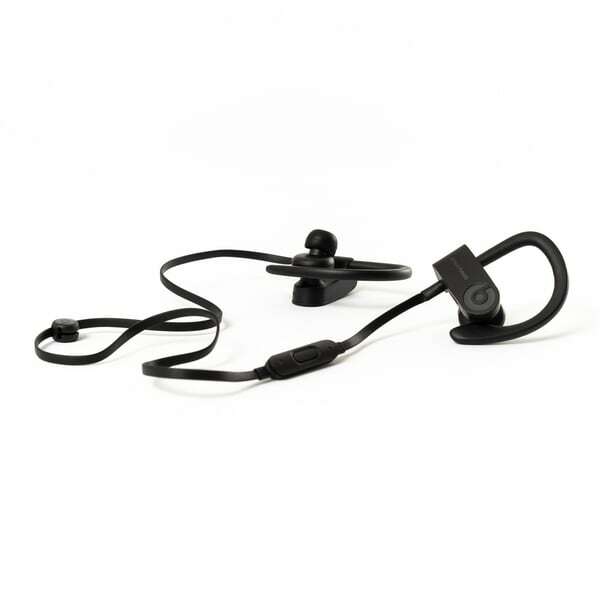 These sweat-resistant headphones are available in a variety of colors, plus they have noise isolation capability, allowing you to easily control the volume for both calls and music. This high-quality item has been factory refurbished. Please click on the icon above for more information on quality factory-reconditioned merchandise. They are okay. Quality of the head phones are not as good as the beats wireless 2. I bought these to replace a broken pair of power beats I purchased at the apple store several years ago. When they arrived I had a very hard time pairing them with my cell phone, and it turns out they had already been paired with another device so I had to search a bit online for instructions to un-pair them. No instructions at all came with these. My previous beats needed to be replaced because the insulation on the wiring had come off in several places from keys and coins rubbing against them in my bag so I planned to be better about keeping this new pair in the case when I carried them around and the case that comes with these does not zip shut so keys and coins can easily get into the case. They are now paired with my phone and I am using the case that came with my previous pair of beats and the sound quality is very good and they hold a charge for a long time. Bought these for my daughter after she washed her first pair in the laundry. She loves these. Very good quality. Powerful sound and they are wireless. Perfect working condition. They are essentially brand new. There is no reason not to buy these "preloved" power beats. I especially like the white ones. When turning them on they work, but they shut on and off randomly. What is the best solution for this? How can I return them? These wireless headphones are quite nice and they do have nice sound to them. I got use to having them wrap around my ear for safety not to fall out of your ear and they do sound good. Very nice product which this is my 1st Beats by Dre purchase. I got them for a friends birthday and she loves them. I recently got to use them on the plane during a flight we took. Very good sound quality! Stopped charging after 2 months. Sound not as great as the Apple wired EarPods but the wireless feature and price was what drew me in. 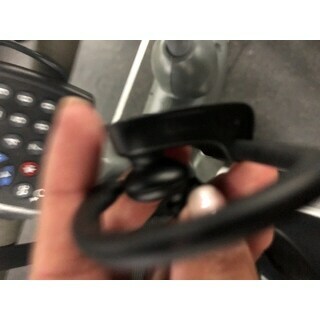 I use these at the gym. Even though it was pre-owned, it was in great shape. It came with the charger and the little case so I can just throw it in my bag and be on my way! it works perfectly ...it just says the name of the previous owner...otherwise it is perfectly packed and in an amazing shape .I would buy another one for that price. "Does this item come in original packaging?" For my 15 year old daughter. These timeless stocking stuffer ideas for Christmas are perfect for teen girls and boys. Get them something they'll love and use for years. Christmas is the perfect time to gift headphones to the gamer, music aficionado, and tech-savvy person in your life. Electronics companies develop new tech and release new models every year, but knowing the basics will help you find the best headphones within your price range. We're here to help you avoid duds and find the gems amidst all the choices with our list of top headphones for 2016. How to Charge Your USB Devices While in Your Car from Overstock.com. Our guides provide customers with information about how to charge USB devices while in a car. Filling a stocking with small gifts and treats is one of the highlights of the holiday season. Check out these stocking-friendly electronic gadgets. From rugged and waterproof outdoor speakers to wireless speaker sets for quality indoor surround sound, Bluetooth speakers are a must-have for the music lovers, partygoers, and outdoor enthusiasts on your list. Check out these top trends to get started on your Christmas 2016 shopping. Forget the flowers and chocolate, and treat the man in your life to an extra special gift this Valentine's Day. Finding the perfect gift is sometimes difficult, but remember that you can't go wrong with a thoughtful, personal, and romantic present during this holiday devoted to all things love. If you're looking to give your significant other a truly memorable Valentine's Day gift, here are a few suggestions. We proudly offer international shipping to over 180 countries and several US Territories. Click here to see a list of supported countries by region. Please note, the estimated delivery timeframe displayed at checkout combines the time to process your order, transit time to our International export facility plus the processing time to ship it outside of the United States. The standard $4.95 shipping cost does not apply to international orders. Some products are not eligible for international shipment. Also, additional restrictions may apply. For a full list of International shipping restrictions, please see our International Help Center.